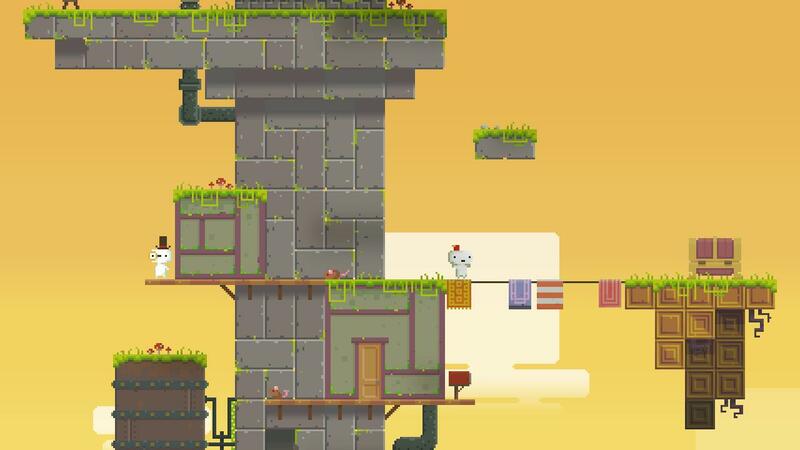 Fez, the hit indie sensation that made waves on the Xbox 360, is finally coming to PlayStation- and not one, but all three of them. On the Official PlayStation Blog, Sony confirmed that the game would be hitting PlayStation 3, PlayStation 4, and PlayStation Vita on March 25. Describing the PS4 version as ‘the best console version’ (obviously), with full 1080p, 60FPS, some innovative uses of the DualShock 4’s lightbar, and hidden secrets, the PS3 version was nonetheless described as ‘being well worth the wait,’ and the Vita version, described as ‘being the game on the go,’ facilitated by the title’s support for Cross-Save (across all three platforms). No word yet on whether the game will be Cross Buy as well. Fez was an amazing game, although its creator was a bit of a diva who threw tantrums, and eventually ended up calling off the sequel after he got into an argument with… someone. Whereas we should always mourn the loss of what might have been a great game, we can still at least enjoy the glory of the first one.